City Streets Brush Pack - Free Photoshop Brushes at Brusheezy! Take a walk downtown with this City Streets Brush Pack! Included in this awesome brush pack are city scape brushes, light poles and scooter brushes, urban dwellers and barbed wire. You'll love the grungy look these brushes will give your work! 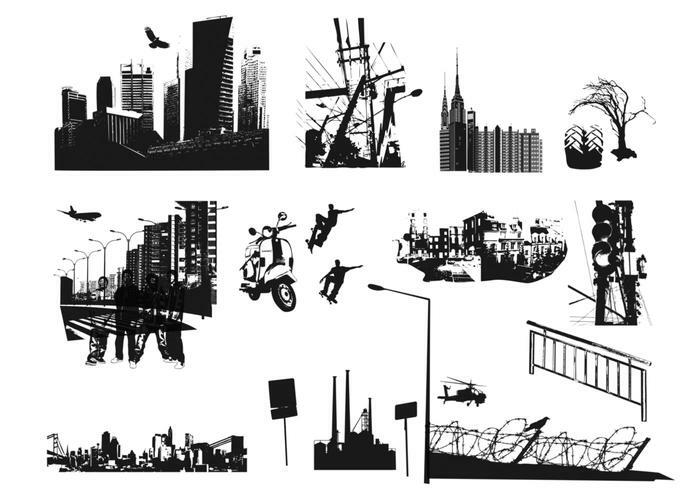 If you'd rather download the city street vectors, move on over to Vecteezy and pick up the <a href="http://www.vecteezy.com/Buildings/26660-City-Streets-Vector-Pack/premium">City Streets Vector Pack</a>!